Thanks for the support, readers! 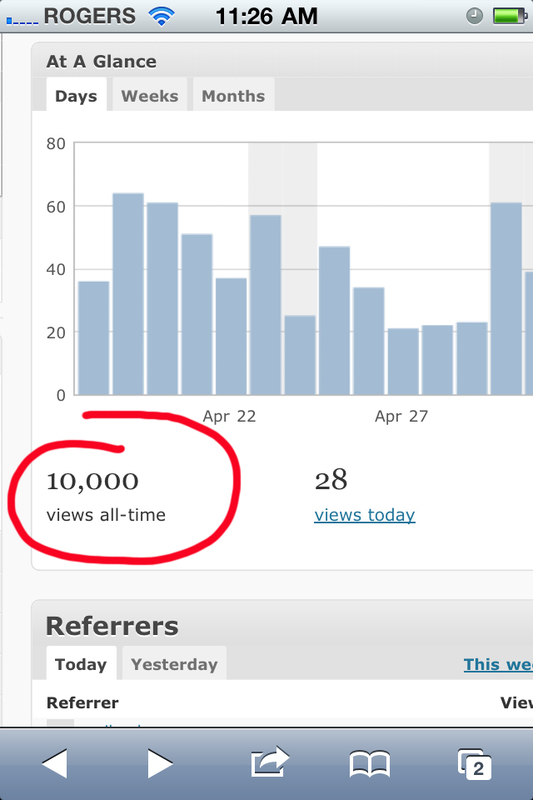 Never in my life would I have expected this little blog to reach five figures. I appreciate all of you who take the time to sit and read my ramblings, whether you’re a new skater, veteran skater or just curious. I hope you continue to be entertained and informed as I continue my journey. Thanks for reading! Last night was our Guild board meeting, which always has me come away with additions to my to-do list. 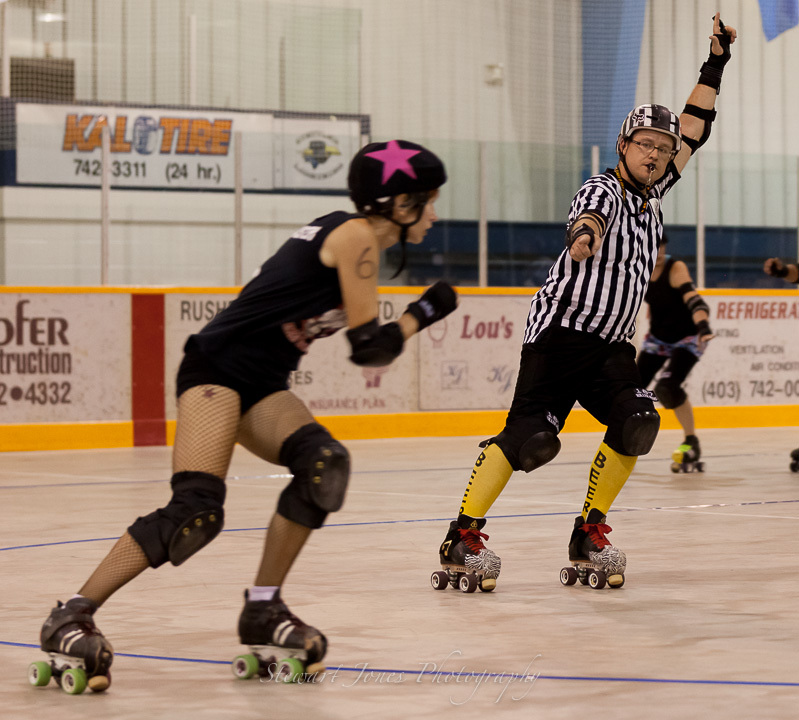 The summer is going to be a busy one filled with fundraising, a home scrimmage to raise money for Womenspace (yes, derby will FINALLY be returning to Lethbridge), an away game and a whole slough of other projects. On top of that I’m looking for a summer job as my ‘real’ job is on hiatus. Juggle, juggle, juggle. 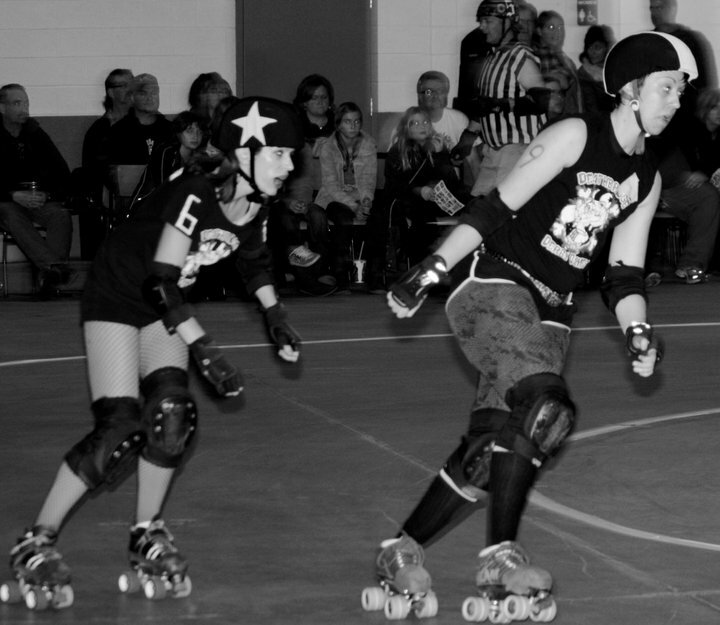 Back to derby… this last weekend I had the honour of playing once again with the Gas City Rollers in Calgary against the B-52 Bellas. 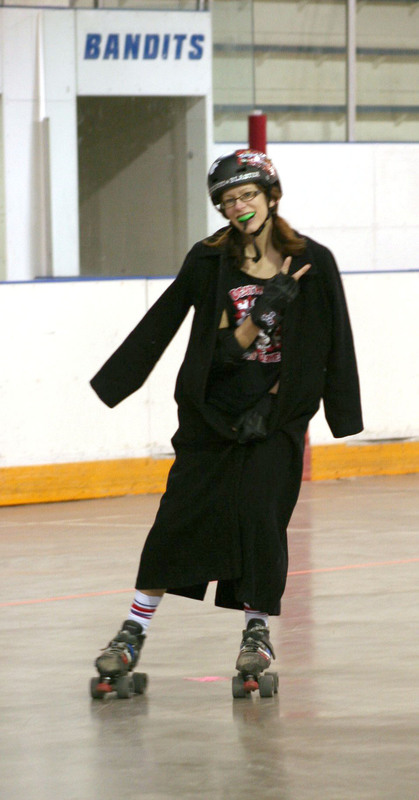 Our first half was weak; Deathbridge skater Exie Cuter, who came to take in the bout, said it reminded her of the South Park episode where the elementary school took on the Detroit Red Wings… LOL But we made up for it a bit in the second half. Despite our efforts we lost, 151 – 116, but I gained tons of experience and another list of skills to work on. Well wishes to Mama Ro of the Bellas, who suffered an ankle fracture and dislocation. owowowowowow I missed how it happened, but saw the aftermath of the dangling foot. 😦 Get better soon Mama Ro! Other than that, I’m currently researching a new blog post: foot pain and skates. Do you have a foot tip or mysterious foot pain? Drop me a line or comment on this post and I’ll research and try and include it. 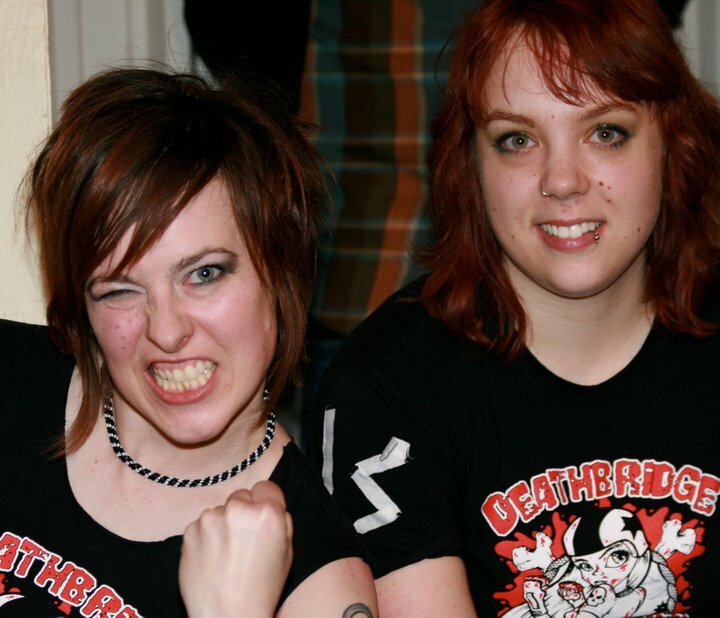 Back when I was a young fresh meat skater attending the CWRDA bootcamp in Edmonton, I remember hearing the words of skater Hisset Fit who spoke, prior to a training session with a Calgary speedskating coach, how important cross-training was in roller derby. She then stated as proof, that her right leg was larger from the left as a result of not focusing enough on other parts of her body. Well, my friends… it has happened. A right of passage, perhaps? Or a signal to get busy? This is my scientific measurement of my thighs. 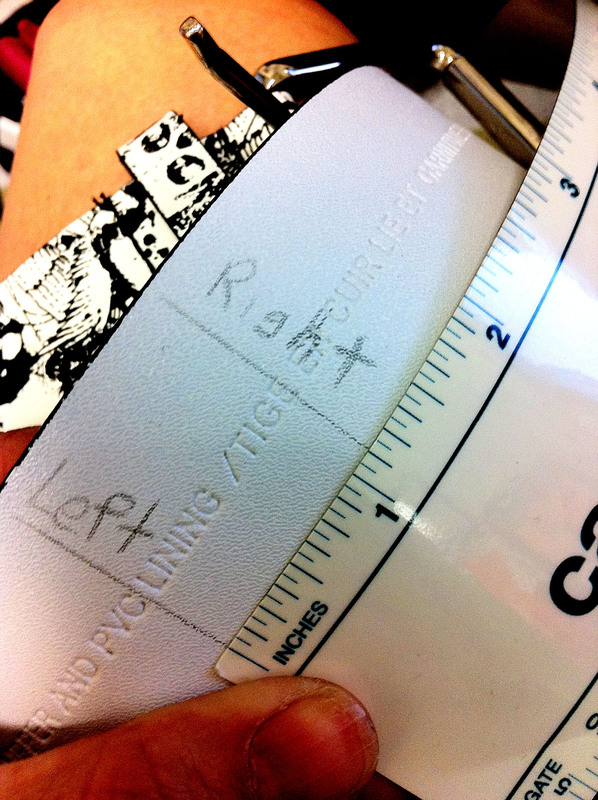 Without a proper flexible measuring tape, I opted to use my belt. Sitting, while placing my feet firmly on the ground and an even distance apart, I wrapped my belt around each thigh and marked the distance. I was careful to ensure that I was taking measurement from the same height above the knee of both legs and a consistent tension of the belt. The result is 1-1/8 inches of difference between my thighs. (Sounds kinda dirty hahahaha) While some would see it as a great increase in strength on one side, I now see it as definitive weakness on the other, as my derby wife pointed out. 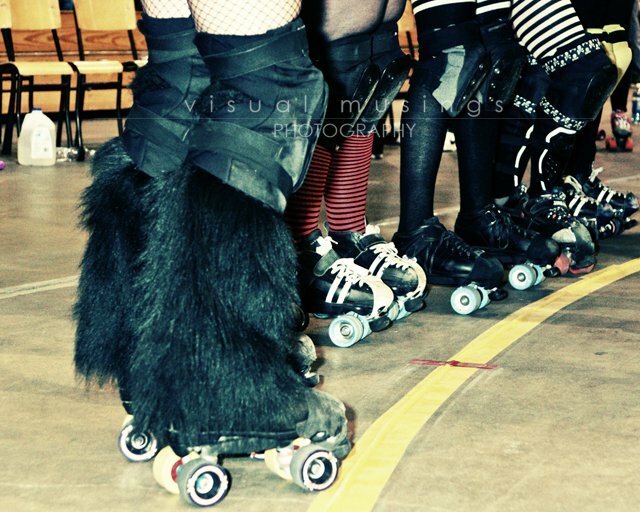 So I will be altering my off-skate activities to focus a bit more on my left side as I will always have roller derby practice to focus continued strength-training on the right. 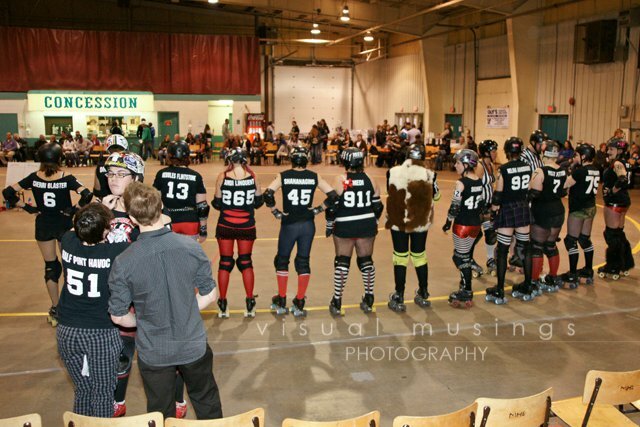 I will be playing with the Gas City Rollers next weekend in Calgary against the B-52 Bellas! Come out for awesome double-header action! 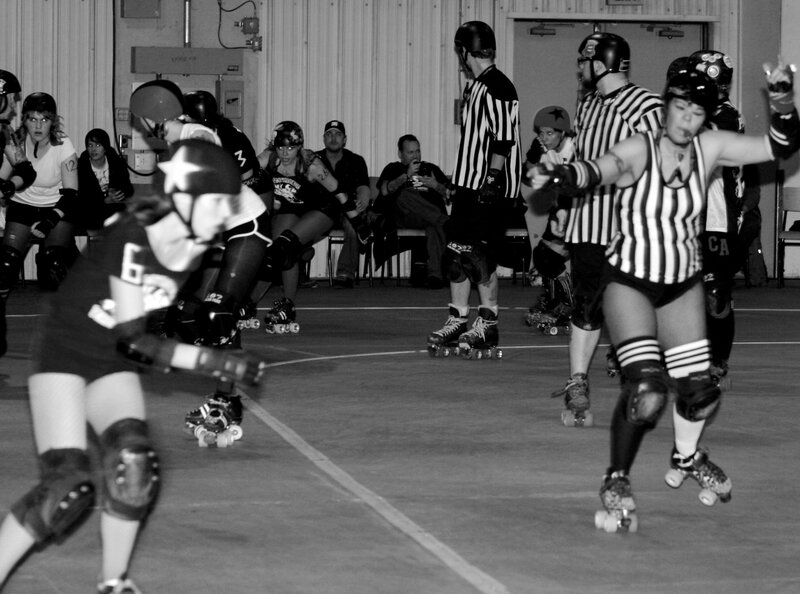 May 14, 2011, doors open at 5 p.m., first bout at 6 p.m. Triwood Arena, 2244 Chicoutimi Drive Northwest. Tickets $15 in advance, $20 at the door. Our coach has been spending portions of practice working fundamentals. I feel it’s really paying off! My transitions are smoother, my tomahawks are more confident at higher speeds and I feel much more powerful on my starts. I’m excited to continue working on my footwork to reap even more benefits in my general skating. I’m changing gyms soon and moving to a more intense regime. Wish me luck! Mother’s Day is coming! Happy Mother’s Day to all my momish readers! I always get the best blog ideas when I’m running, which explains my blogging absence as I had to take a week off of running due to work, lunchtime commitments and being super sore from practice last week. The good news is that I DID get back on the treadmill yesterday. Isn’t it great when your gym gets new equipment but you’re too devoted to your other favourite running machine to cheat on it? I’ve eyed this new treadmill for a while now… you’re standing much higher than on the other machines, it has a touch screen… it just looked so… ominous. But due to a busy gym yesterday, I was slotted into that apparatus. First discovery: It has a charging station for my phone. Wicked. Second discovery: When my phone is hooked in, the touch screen has controls for my iPod on my phone. Wicked. Third discovery: It’s not compatible with my iPhone. Bummer. Fourth discovery: The console has a mother-effing FAN in it! Well, not really. But I was surprised after only taking a week off of running how winded I got. Or maybe it’s because I spent almost the entire time playing with the touch screen of the apparatus (which doesn’t respond if you have finger sweat) that I expelled too much energy directing my attention to my little appendages. With the never-ending space issues our team faces on a weekly basis, the owness to stay in shape during down time falls within ourselves. It’s a challenge for sure. Isn't this a fantastic bout poster? 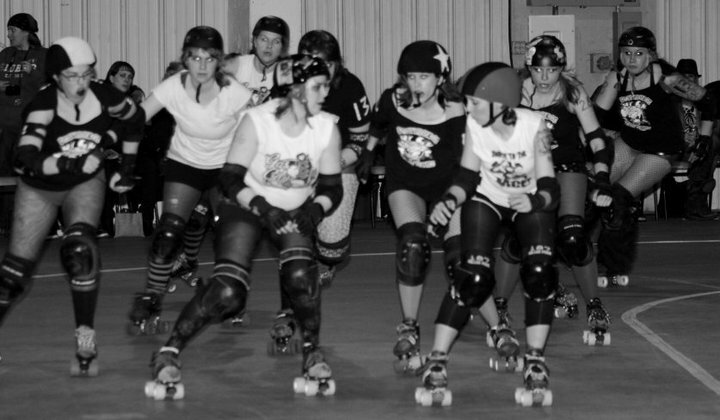 That’s right, kiddies… I’ve been invited to play with Medicine Hat’s Gas City Rollers at the end of this month, which means a lot of weather-permitting driving in the coming weeks to practice with the team. I’m really honoured for the invite and excited for the extra time on the track. 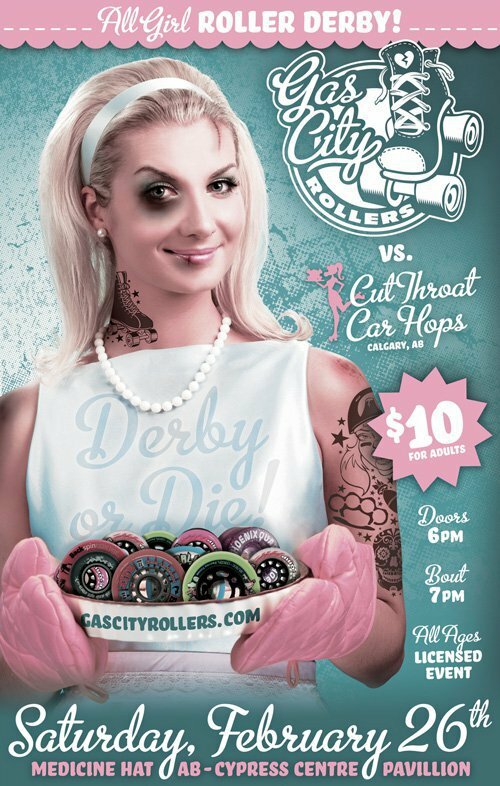 But I’m also pretty nervous as we’ll be playing a Calgary team, the Cutthroat Car Hops. I’ve never experienced a Calgary team before. Their standards for skaters are high and their league is fantastic. I know I’ll learn a lot by just playing against them. In the meantime, who’s up for being in my cheering section? Some fan signs made by Exie Cuter from our last game in Medicine Hat. I’ve acquired some video footage and, with this being my week off work, have finally had the chance to put a couple of somethings together. 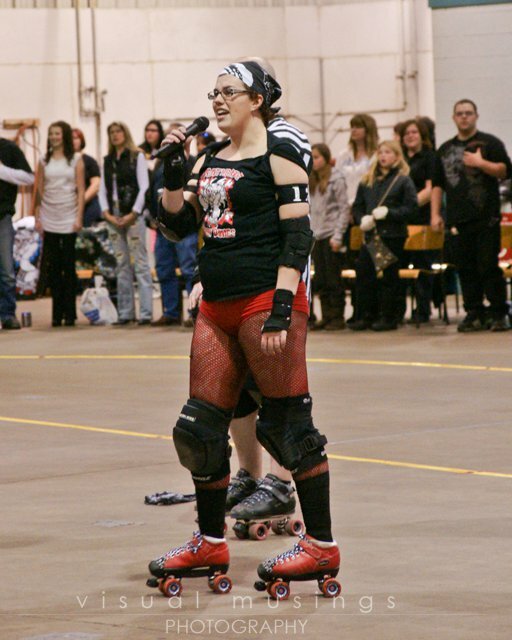 Next is a short video of me in 3 jams at my last game versus the Gas City Rollers of Medicine Hat. Even though in this footage I’m getting taken out a couple of times, it was a breakthrough game for me, scoring 54 of the 94 points! I couldn’t have done that without my blockers!